Brett’s practice focuses on commercial and insurance litigation, emphasizing contractual disputes and representation of trucking companies. In this capacity, he has represented a wide range of entities, from local family-owned businesses to multi-national corporations. In addition to trucking litigation, Brett has also worked with large trucking companies to standardize their contractual agreements and more effectively protect their interests. Doing so brings order to the process of hiring owner/operators, leasing equipment, and expanding fleet capabilities. Brett writes and speaks on topics of concern to business owners, including commercial contracts, the Employee Retirement Income Security Act, and employment agreements. His experience in the courtroom has enabled him to help clients avoid litigation and instead concentrate on growing their businesses. 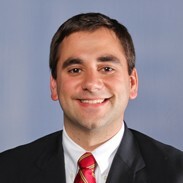 Brett joined Heyl Royster shortly after graduating from the University of Minnesota Law School in 2011, where his studies focused on litigation. There, he earned an Upper Midwest Human Rights Fellowship and joined the Minnesota Journal of Law & Inequality.